Smells like another sizzling food collab coming hot n’ fresh out the Brissy kitchen; Black Hide by Gambaro has opened its doors today at its new home in the heritage-listed Treasury Brisbane! Hold onto your steak knives, gang, you can now enjoy this award-winning Caxton Street icon in prime CBD real estate. 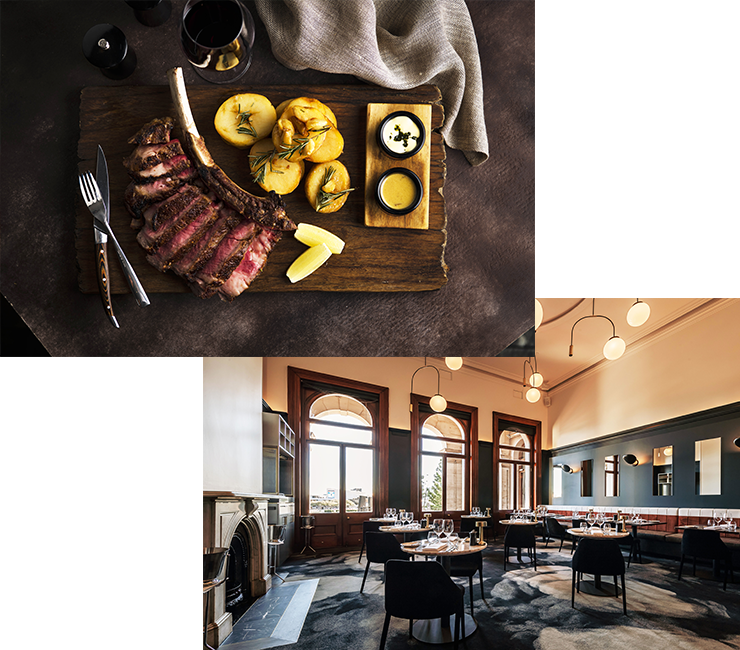 Queensland’s Best Steak Restaurant (winner four years running, no biggie) has luxuriously revamped the Treasury’s heritage setting overlooking the Brisbane River. Take your pick from Black Hide’s world class selection of prime Angus, wagyu and organic steak cuts, mouth-watering seafood dishes and delicious share plates. Get friendly with their OTT menu including wagyu fat roasted potatoes, freshly shucked oysters and pork cutlets. Black Hide Steakhouse is also the only restaurant in Queensland with an exclusive selection of world-class steak cuts from Stanbroke Beef. We’ve done the research, and this is Australia’s most esteemed, vertically integrated beef breeder and producer (a big plus for mindful meat eaters!). We really do just love a good alliance, and this is everything you would expect from two of Brisbane’s leading food and hospitality players joining forces. Get your reservations in early for a perfectly marbled dose of supreme dining indulgence. Black Hide Steakhouse is open Tuesday-Sunday for lunch and dinner. Make a booking here.